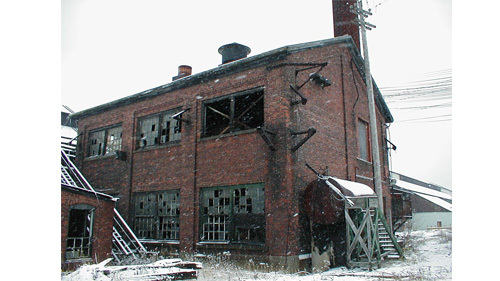 In addition to understanding artifacts, we learn about Nova Scotia’s industrial past through industrial archaeology (IA). IA is the study of the tangible evidence of social, economic and technological development of the period since industrialization. 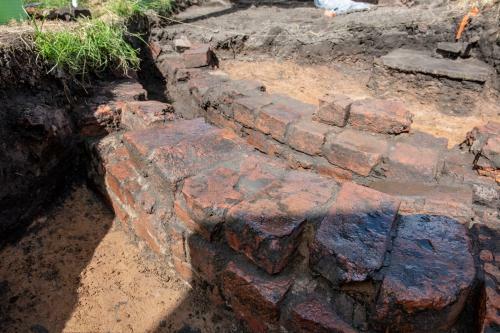 It includes buried foundations, features, and remnants normally associated with archaeological study, such as the foundry, locomotive shed and miner’s house found on our site. But equally important, it includes the landscapes, buildings, sites and structures still evident in some form around us. It is the rows of identical houses close to a vacant lot that once held a pithead; it is the uniformly-shaped manmade stream that once was a mill-race supporting water-powered factories; it is the canal that employed the technology to move vessels from one body of water to another, thereby bringing goods to market more economically. In Nova Scotia you can find it in old canneries and remnant pilings of piers, in street names and neighbourhoods, in architecture, and in slag heaps. In 2016 we formed a partnership with Industrial Heritage Nova Scotia to search for the 1827 iron foundry on our site. This built on preliminary investigations of the 1980s. Our work includes annual public archaeology weekends, digs by professional archaeologists, and research by historians and others. Find out more through the tabs on the left.